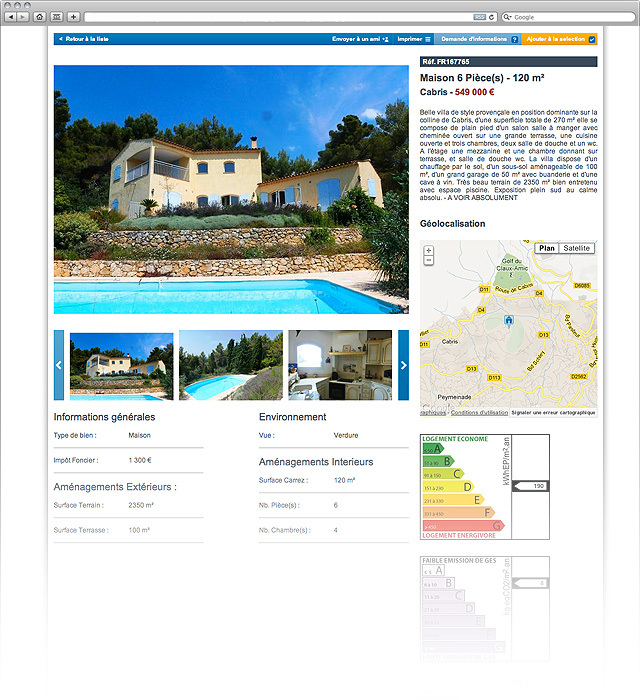 Real Estates collaboration seeking to promote the exclusive mandate in the French Riviera. 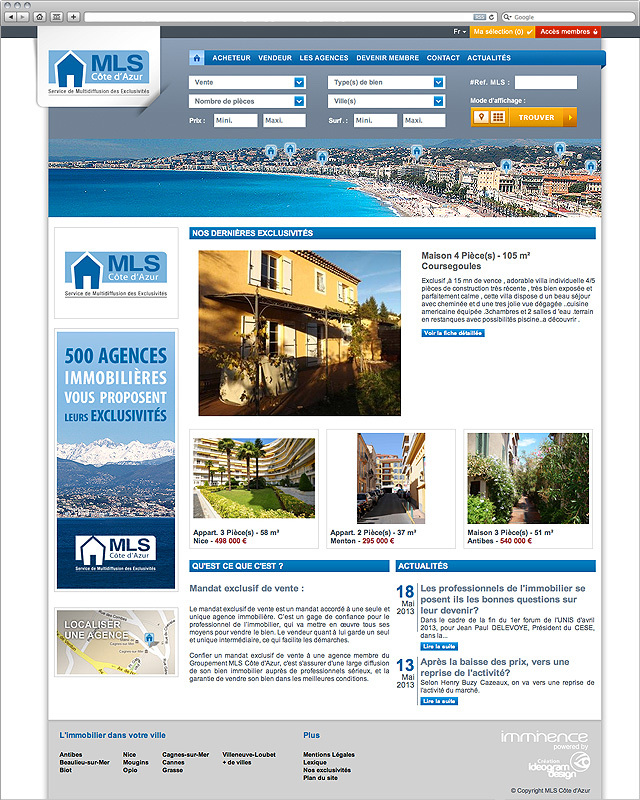 We co-produced the general public website as part of our partnership with the MLS Côte d’Azur organisation. 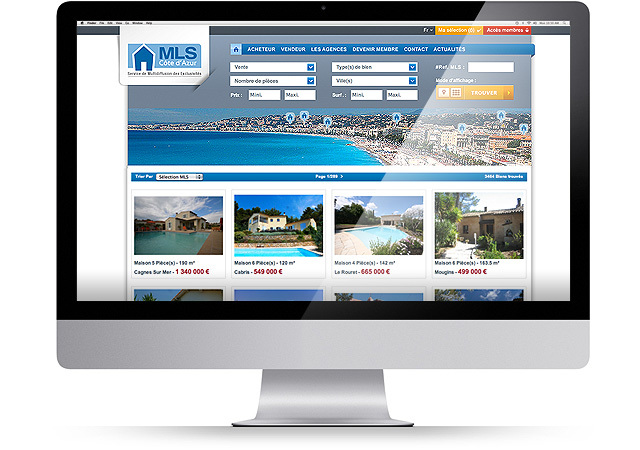 We were contracted to provide the study and the graphic design of the website. This was a complex task to undertake with real technical constraints, as we had to display 4 000 mandates split between 450 agencies.